"Bring out yer dead!" "Bring out yer dead!" For those who, like me, love the irreverent humour of Monty Python, those words immediately bring to mind this sketch from their movie "Monty Python and the Holy Grail", a hilarious look at life in the Middle Ages. Watch it right to the end for their bitingly satirical comment on royalty. Naturally, there is really nothing humorous about the Bubonic Plague - we can only laugh at it from afar. We have never experienced it, so it is safe to laugh at comic scenes of someone gathering bodies on a hand-drawn cart, including one who says "I'm not dead!". But, did you know that we did have the Black Death here in Brisbane? I didn't, at least until I was researching for this blog and came across the following photo. Just click on it to see a larger version. The church is still present today, and although it seems to have added some building improvements, those spires on the roof provide a reference. It is now known as the Nazareth Lutheran Church, the adjective "German" having been dropped during WWII, I suppose to avoid any discrimination that may have occurred at that time. 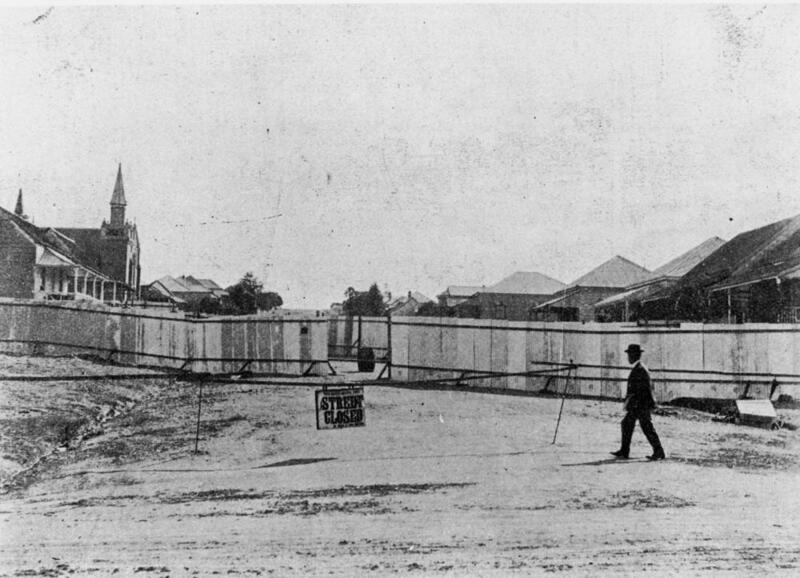 The wooden buildings that had been quarantined have long gone, and there are now brick flats in their place. Looking at this quiet suburban street, one can hardly imagine the dread that must have been experienced by its inhabitants a century ago. 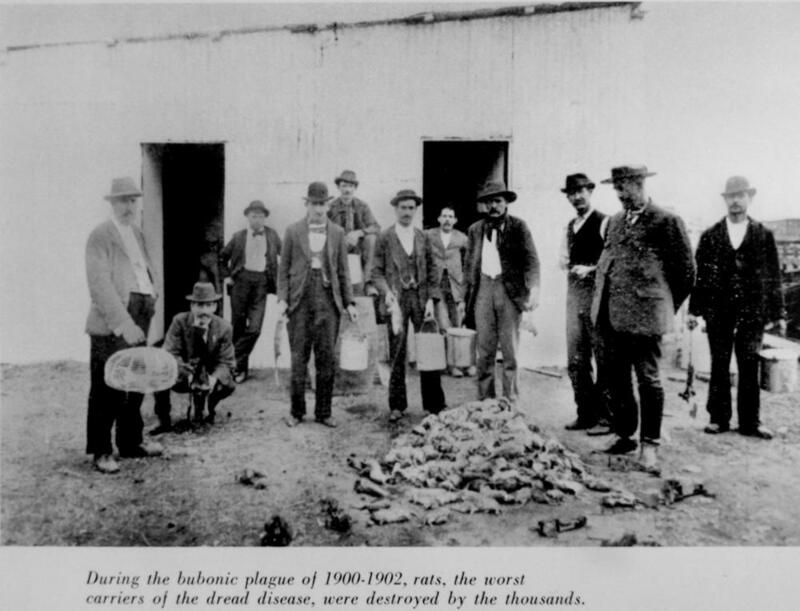 The first case in Queensland was discovered in April 1900 and it was found in Brisbane shortly thereafter.